Hi there! I hope you still remember me, you, who reads my blog. 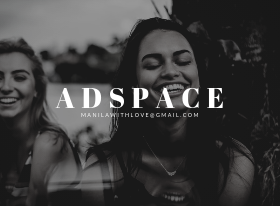 It's been a month and a half hot minute since my last post and I actually have missed blogging, albeit putting it off because it felt forced and un-fun (you know what I mean?) and I didn't like that. 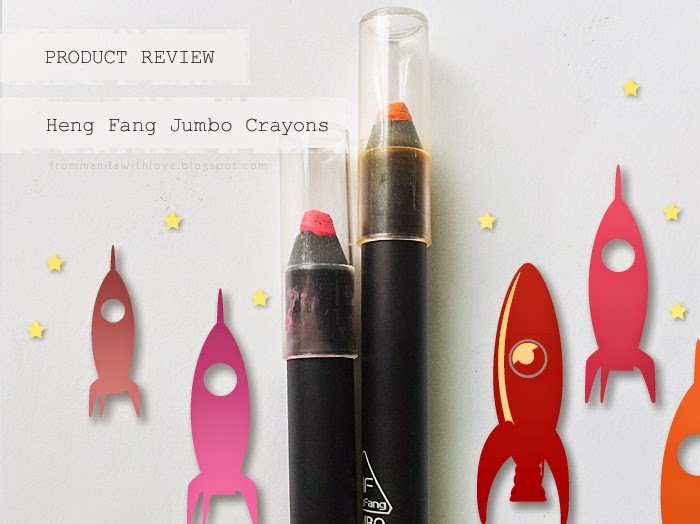 Here are my thoughts on these lip crayons from Heng Fang (sent to me by my friend Daisy from http://bornprettystore.com ♥), which looks quite similar to another brand's lip crayon. As I've said it looks quite similar to the packaging (and logo) of another brand. The box that it came in looked exactly the same too. A.K.A. Evidence of my poor E.Q. I didn't like that aspect much; I really wanted a twist up one with all the balm crayons popping up here and there. Oh well. It's really soft and creamy. I mean I like that it's not hard (cough) but it's just too soft for my liking (cough cough. What's in the air these days? I keep on coughing.). It just melts upon contact using the lightest of hands. And because it's that soft, sharpening it takes away from the product too much. It sticks to the shavings and/or the sharpener itself. Now THAT is orange. Excuse the bumps I was recovering from allergies. A trip to the freezer might work but you can't leave this out in the tropical heat, which goes for a lot of lipsticks actually. I mean a better question would be what ISN’T going to melt in this heat? Man it’s hot. Still pretty bright even when smudged. 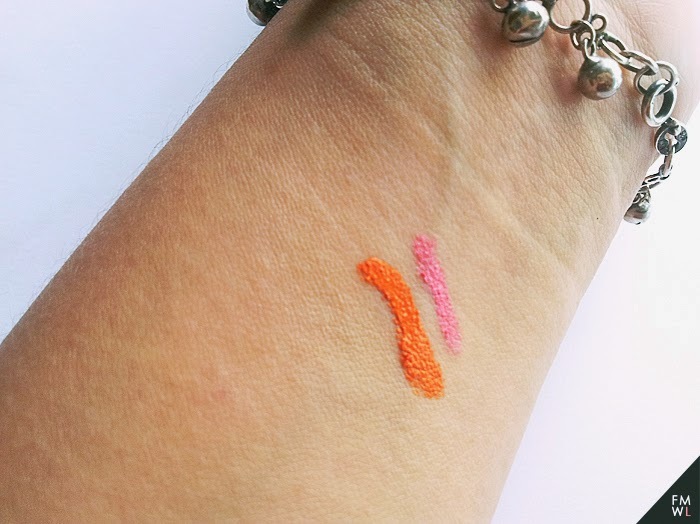 Pigmentation-wise, this is a winner. It's not something I would wear in broad daylight. 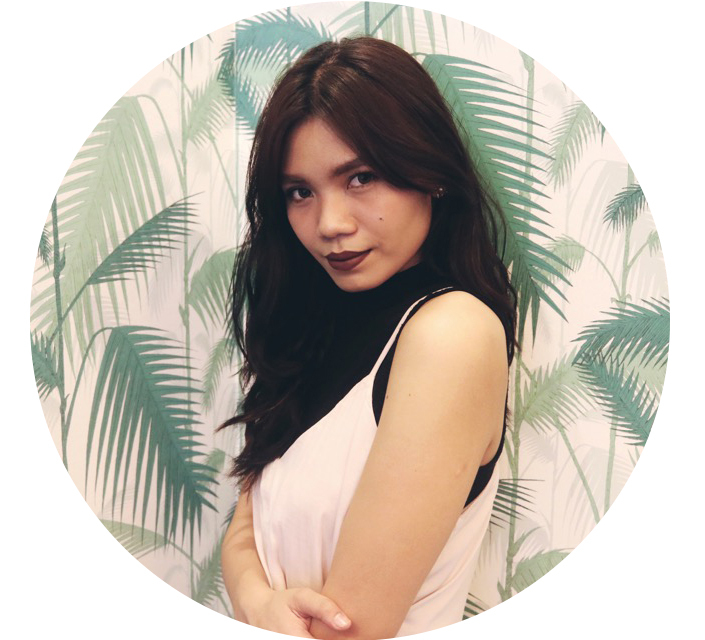 Maybe for a party or a night out because it’s almost neon-like in its brightness. BUT, the formulation isn't that ...stellar. 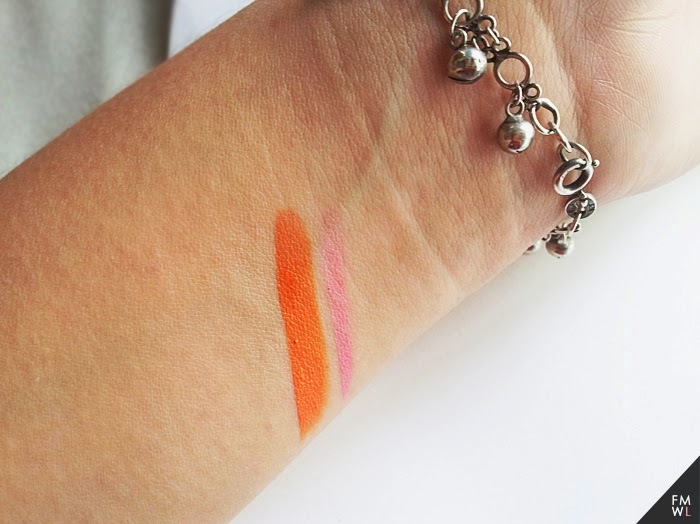 You get amazing color-payoff for sure, but swiping it more than once on a certain area moves the product so it looks a little uneven and patchy. 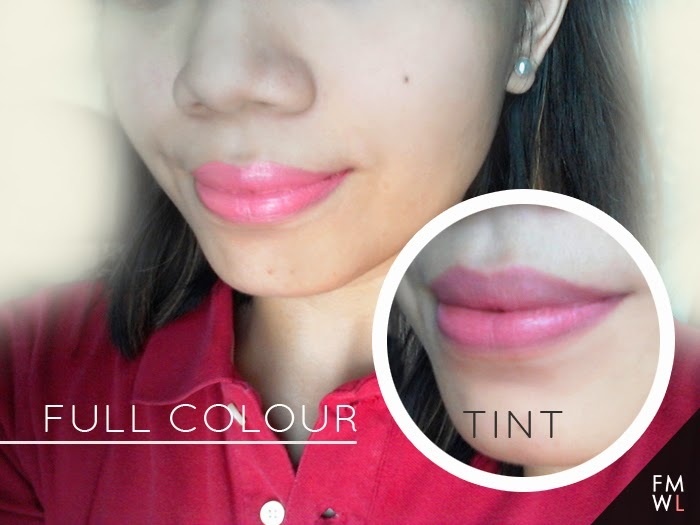 You have to blend it with your fingers or use a lip brush for better application. It also doesn't have a moisturizing feel to it. It's slippery and very emollient but not moisturizing. 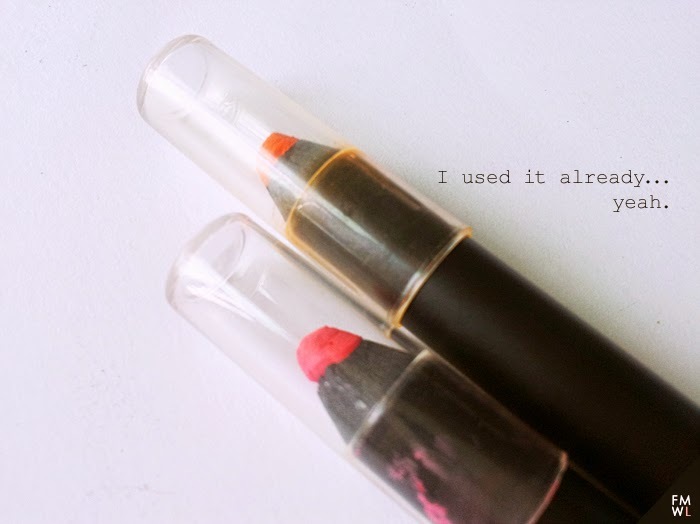 The color stays well on the lips but it does transfer. I'd say the typical staying power of a creamy lipstick sans eating and drinking, 2-3 hours tops before you need to touch it up a bit. That said, it's not a balm and is not marketed as such. 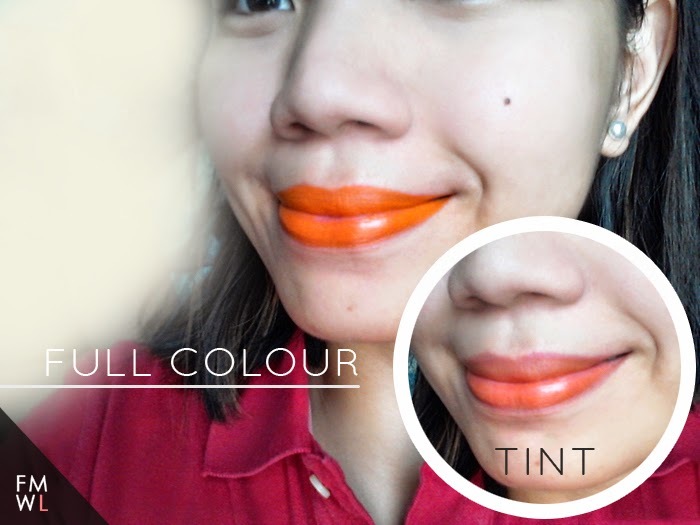 It's a lip colour/lip stick. Still though, the formula could've been better. 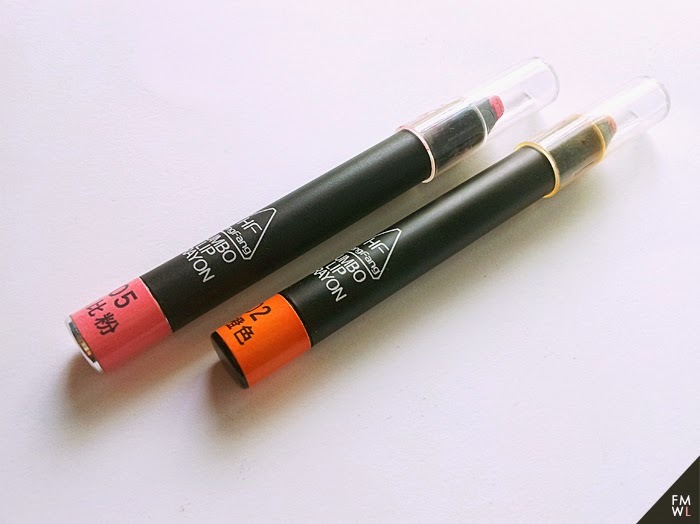 Fun neon-like brightness and super pigmentation plus the kitsch factor of it looking like a crayon/pencil for a mere $2.99, I say go for it. If you're interested, you can get this "here" . Use my code QEL91 to get 10% discount on your purchase! ( 10% off of $2.99 = dirt cheap) Enjoy! - If you're a Korean cosmetics enthusiast (like I am) you know which brand I referred to here. - I missed blogging foreals though. DISCLAIMER : This product was sent to me for review. I was not paid to say anything good by the owner of the store nor the brand. Everything stated here is honest, un-adulterated and un-biased. These are my, the writer's, own opinion/thoughts. Therefore they do not reflect the opinions/thoughts of owner of the store (where I received the product from) nor the brand's. Already discontinued. No ingredient list is present on the site.